Dr. Alenuma-Nimoh attended and presented at the Eleventh International Conference on Diversity in Organizations, Communities and Nations. This Conference was held in University of the Western Cape, Cape Town, South Africa, from 20 to 22 June, 2011. 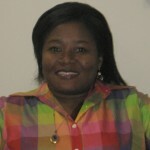 The topic of Dr. Alenuma-Nimoh’s presentation is “Exploring the Complexities of Gendered Globalization”.